for your family and lifestyle. Our goal is to help you unlock the hidden potential of your property. We will create a landscape that adds to the value, character and the beauty of your home, making it uniquely yours. 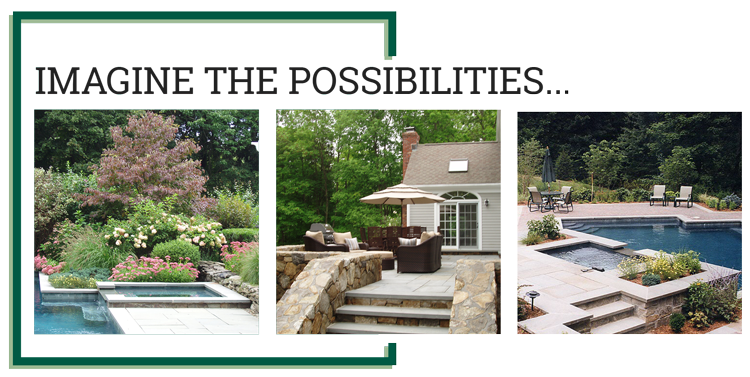 Stonebridge Associates is a full service landscaping firm, offering every facet of outdoor design and construction. Whether your dream is a stunning free-form pool or a tranquil secluded garden, the professionals at Stonebridge Associates will make it a reality. From initial design, through construction, no other firm can offer the same level of creativity and personal attention. You can be confident that we will work quickly, efficiently and will respect both your property and your privacy throughout the project. Be the envy of all your neighbors with this exclusive design consultation and master plan of your property by Stonebridge Associates. We will look at your property as a whole, and ensure that each new feature blends effortlessly into the existing landscape. We will create a master plan that fits your lifestyle now and plans for the future. We will create a landscape that adds to the value, character and the beauty of your home, making it uniquely yours. Let our construction team transform your property by bringing your design visions to life. You can be confident that our Stonebridge team will work quickly and efficiently, and that we will respect both your privacy and your property throughout the project. From lawn maintenance to keeping your gardens healthy and colorful, our experienced staff will ensure that your landscape continues to be a source of pride and enjoyment for you and your family. Let us make sure that the outside of your home looks the way it was envisioned, leaving you nothing to do but enjoy the view. We will create a landscape that adds to the character and beauty of your home, making it uniquely yours. We will work with you to create the yard of your dreams. Stonebridge Associates will design and construct the perfect walkway, stonewall, terrace or pool surround, bringing new life to your outdoor living. When designing your new pool environment, we will listen to your needs and develop a plan that fits your lifestyle now, while also planning for the future.